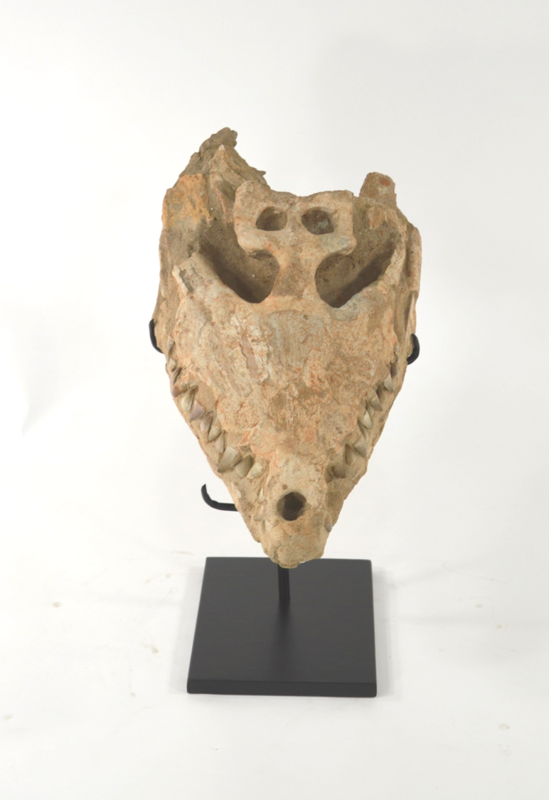 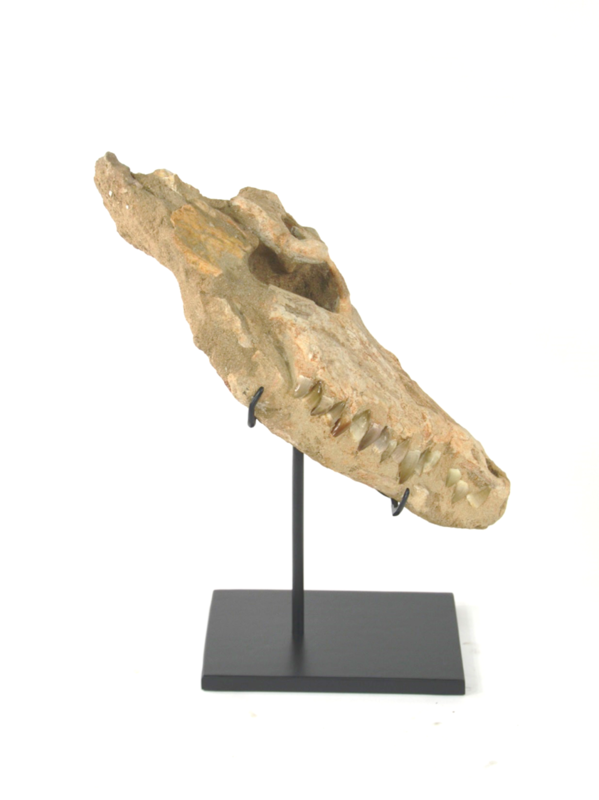 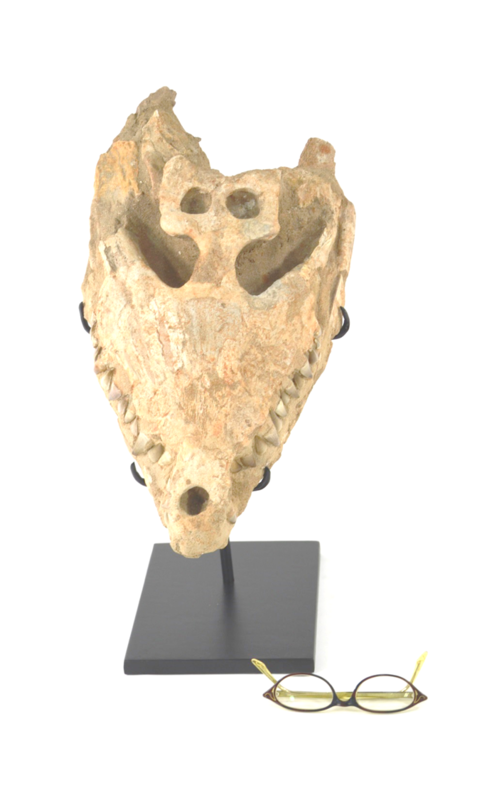 An authentic fossilized reptile skull from ancient times and an interesting conversation piece for any environment. 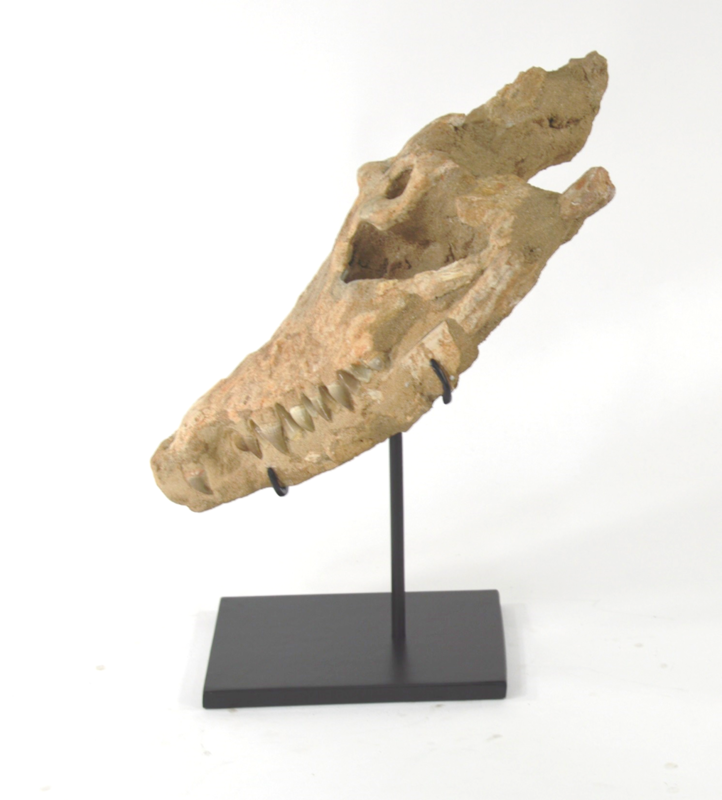 The vertical custom mount creates a very dramatic effect. 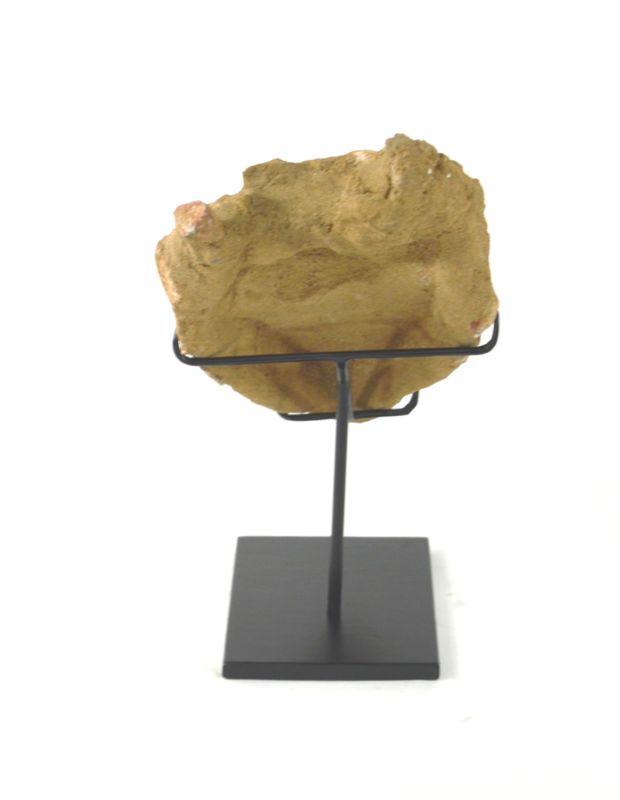 L 9" x D 7.5" x H 19"